Jefferson City  Today, Governor Mike Parson announced the graduation of the inaugural class of the Missouri Leadership Academy. The first Leadership Academy class consisted of 23 emerging leaders from across the State of Missouri’s 16 executive departments who were selected to participate in the state’s first-ever, cross-department leadership development program. 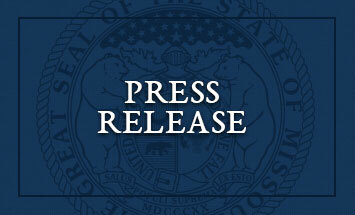 In addition, Governor Parson announced the second class of the Missouri Leadership Academy. Michael serves as Acting General Counsel for the Department of Economic Development, where he provides legal and policy guidance for major state economic development programs. Michael has devoted significant efforts to help grow the St. Louis region’s geospatial technology ecosystem, connecting stakeholders across industry, government, K-12, and higher education. Prior to serving instate government, Michael practiced corporate law (e.g. mergers and acquisitions, venture capital investments) at a global law firm in St. Louis, where he also served as Co-General Counsel for the Ferguson Commission.